Push and Pull is the second project of our cultural strategy for Taylor Wimpey Central London to be realised. 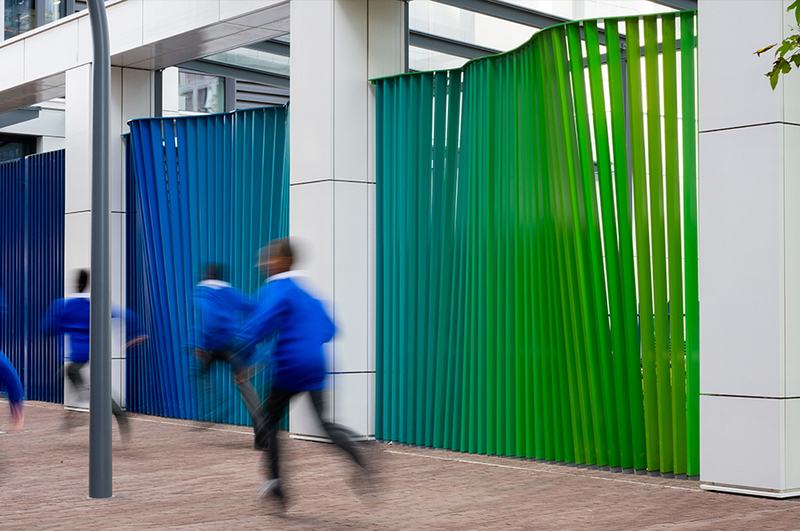 The aim of the commission was to soften the boundary between the new St Mary’s Primary School and the street, re-imagining how a fence can create a more playful and welcoming facade. Developed through close consultation with the school, we devised engagement that enabled young pupils to develop the concept and design of the fence ensuring that project delivery would remain on budget. The overall project was delivered direct by D-P-Q. We worked with a class of 10 & 11year olds over eight workshops to share the parameters of the fence commission and to develop the concept and design. 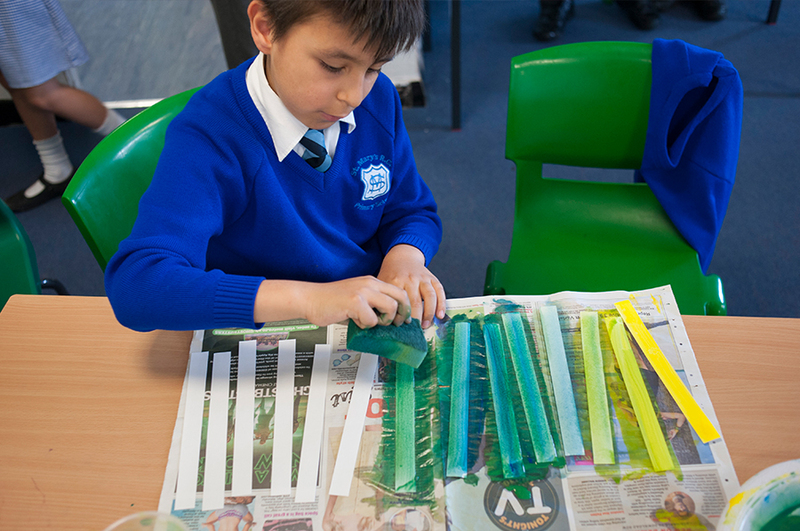 The children were introduced to the different roles within creative projects, the client, designer and fabricator, and were able to take on these roles and input directly into the design through varied iterations. 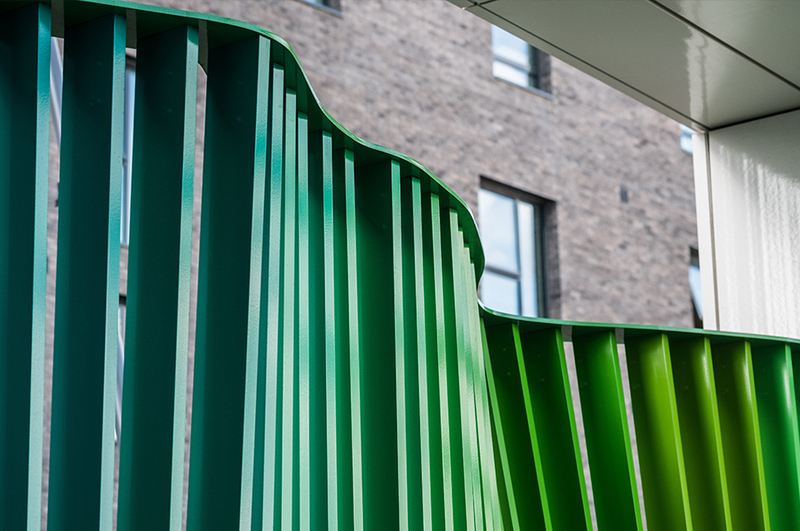 The resulting proposal is an undulating sculptural wave, which varies in colour from blue to light green, referencing the school colours and the new planting proposed on the adjoining Gladstone Terrace. We worked closely with the development delivery and fabrication teams to translate the designs into reality within the overall project and construction programme. Push and Pull launched as part of a celebration of the newly completed development. 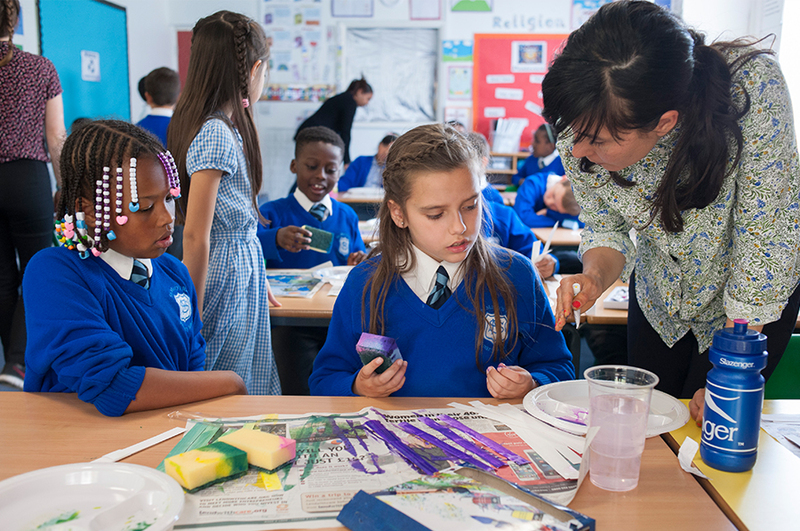 The project has helped to connect the Battersea Exchange development, one of many large-scale regeneration projects in Nine Elms, with the everyday lives of people locally, through meaningful creative activity. The project formed part of Cultivate, a young peoples’ cultural learning programme in Wandsworth which aligns with our vision of places which connect positively with local communities and build capacity, enhance young people’s experience of the world of work, and create places that young people want to stay in and contribute to. 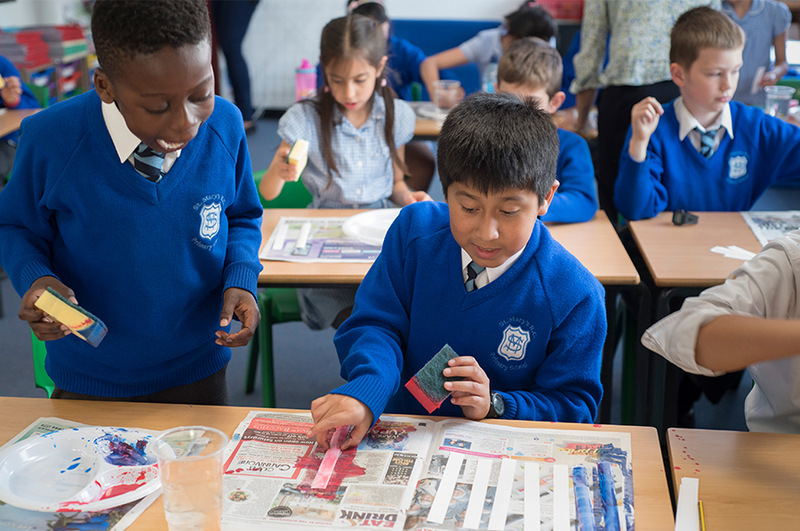 Envisaged as a series of connections, our cultural strategy for Taylor Wimpey Central London has sought to put culture at the heart of a new mixed-used neighbourhood in Battersea. 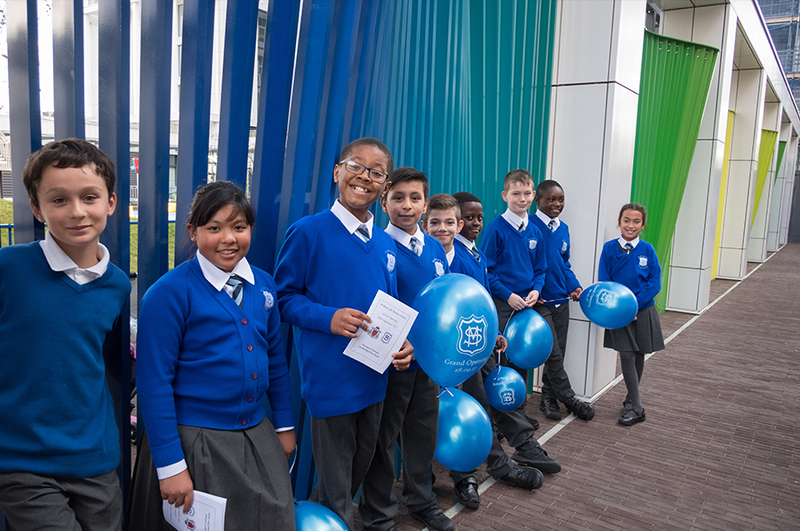 Centred on the rebuilding and enlargement of St Mary’s primary school, Battersea Exchange provides new homes and commercial space on a former brownfield site. The cultural strategy sought to embed creative projects and community engagement during the transformation. Push and Pull is one such project. 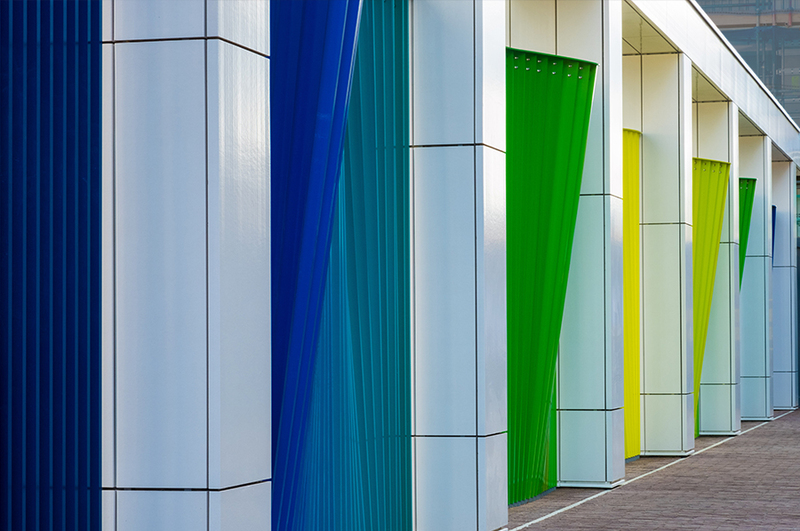 We worked with the planned fence material and design, stretching its capabilities creatively, in order to enliven and animate the public realm, through a sculptural interpretation. The resulting design more strongly locates the school in its public context and welcomes children and families every day.